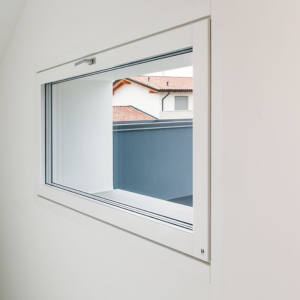 The wood aluminium windows and doors with coplanar section are the result of knowledge accumulated over the years and is a technologically advanced product. 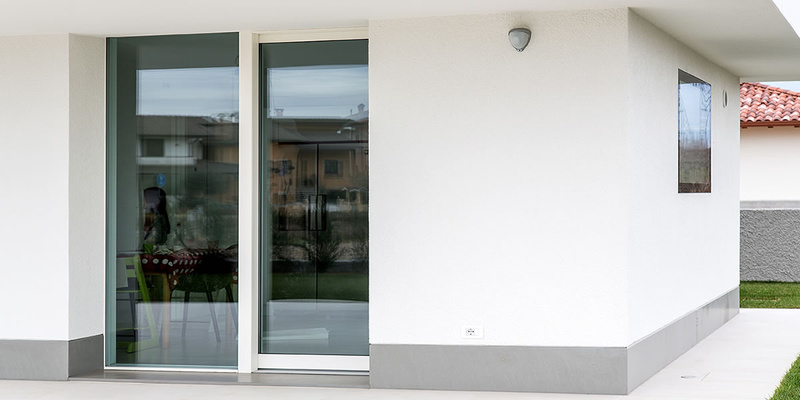 The wood aluminium windows and doors PELLEGRINI STRUTTURA stem from a perfect combination of two materials: wood and aluminium, retaining the best features of each, with the objective to ensure energy performance and design over the time. 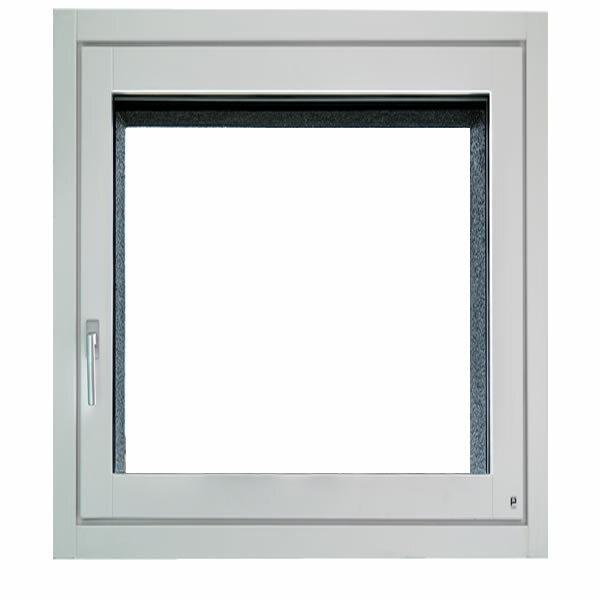 The aluminium used for the outside part gives high capacity of resistance to atmospheric agents while internal wood, unique by its nature, provides well-being in the house. The product line Wood Aluminium PELLEGRINI STRUTTURA has different profiles both internal and external that can be available in several colours. 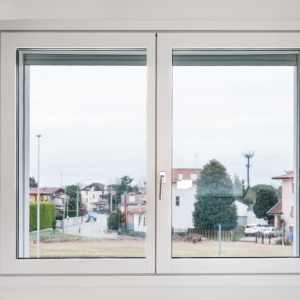 PELLEGRINI STRUTTURA line includes coplanar wooden windows and doors, representing the highest technological expression, capable of uniting the great respect for the environment, the person and the maintenance requirements and durability. The PELLEGRINI STRUTTURA profile, in its outside view, is very minimal and fits to modern geometries or creates a sophisticated contrast between classic and modern styles. 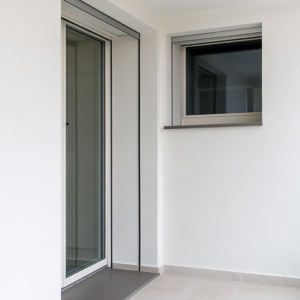 The wood aluminium window and doors is an excellent solution to be combined with the coplanar realization. The picture of the window inside view highlights the wood as realization material. 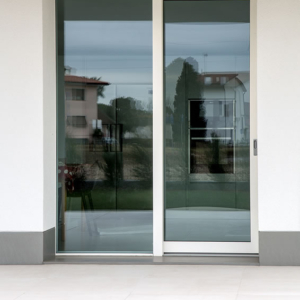 The coplanar wood and aluminium doors and windows with reduced profile and leaf completely invisible from the outside. 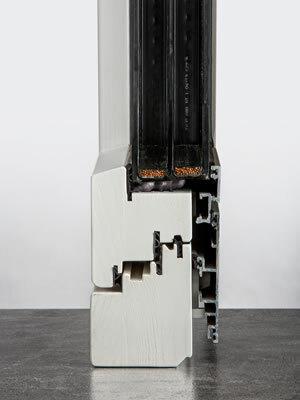 The aluminum used for the outside part gives high capacity of resistance to the atmospheric agents, while internal wood, unique by its nature, provides well-being in the house. 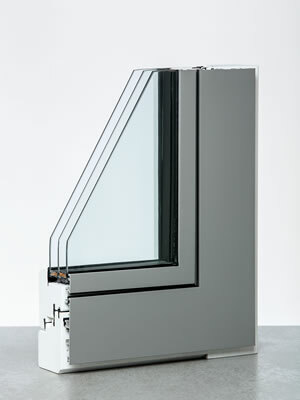 The product line Wood Aluminium PELLEGRINI STRUTTURA SLIM is characterized by minimal sashes et frames profiles. 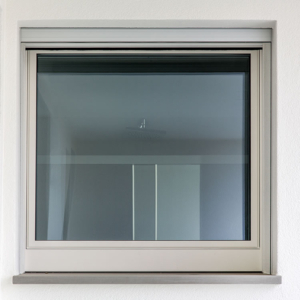 The reduced dimensions of the section of the frame and the leaf allow to obtain an even more simple window and with a more discreet impact and consequently increase, for an identical opening, the surface area of the glazing, thus conferring more brightness compared to a traditional doors and windows. This increase in glazed area contributes to improve energy performance. 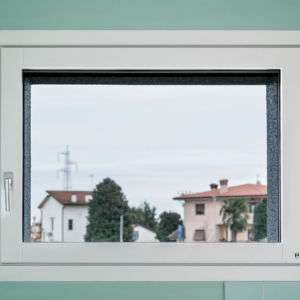 PELLEGRINI STRUTTURA SLIM, thanks to the invisible leaf, hidden in the frame, increases the standards of security, burglar-proof and seal compared to the standards of the other profiles to which we are accustomed. The mechanical strength is guaranteed by a careful study and by a particular production process. 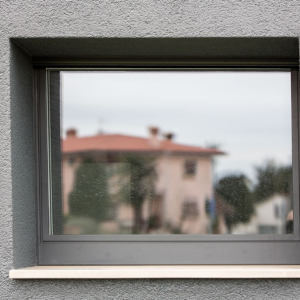 PELLEGRINI STRUTTURA windows and doors can be customized to the colours used to paint the internal and external profiles. 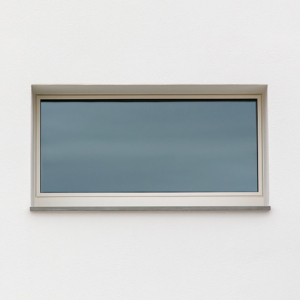 The inner part of the window can be done in different species. 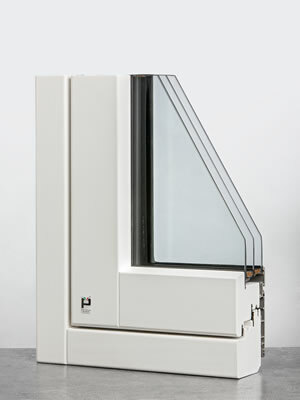 Hinged door and Frame of the PELLEGRINI STRUTTURA are coplanar both inside and outside, which distinguishes it from all windows and doors supposedly coplanar, actually on the market. Thanks to a refined and elegant design, the hinged doors and the frame are placed/positioned at the same level, both inside and outside, in order to allow the wing and the tilt and turn movements. They are suitable to give a particular aesthetic touch to your home through the combination of three profiles to multiple colour solutions, always at the avant-garde. The glulam premium quality, used for the structure, ensures sealing stability, an excellent thermal and acoustic insulation and a very good comfort of the house. 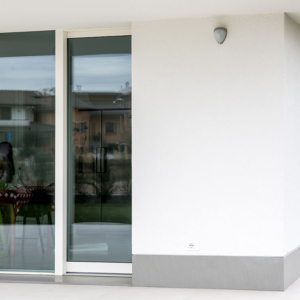 As for its other products lines, PELLEGRINI STRUTTURA windows and doors can be customized both in forms and colours to perfectly fit to the choice of architect. 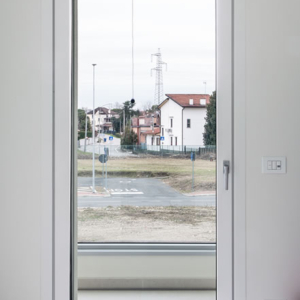 The use of concealed hinges makes PELLEGRINI STRUTTURA a simple and minimal design, while changing the windows and doors concept. For the realization of PELLEGRINI STRUTTURA joinery, we not only use materials with low environmental impact, but also wood from controlled reforestation areas. 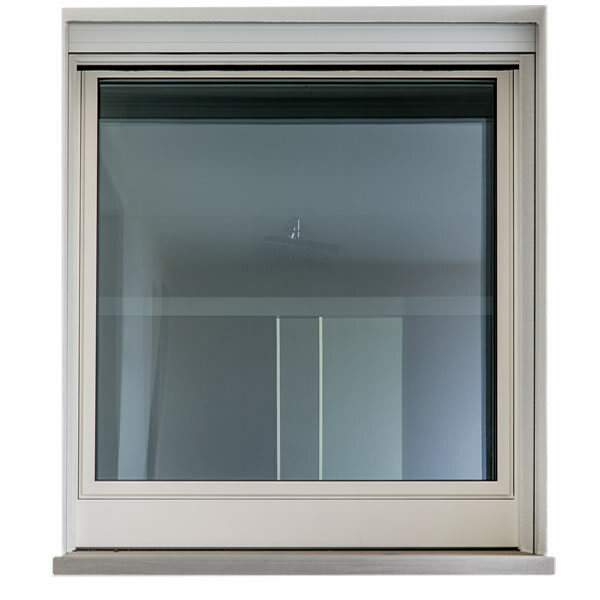 For the external aluminium profile different finishes are available: smooth RAL, embossed RAL, wood grain.